Bank of Canada governor Poloz makes an interesting point when he argues that the latest collapse of oil prices will probably not damage the Canadian economy as much as the previous slump did in 2014. In fact, oil and gas production accounts for about 3.5% of Canada’s GDP today compared to 6% in 2014. He also indicated that in 2015, 30% of all business investment in Canada was in the oil and gas sector, while today it is only about 18%. 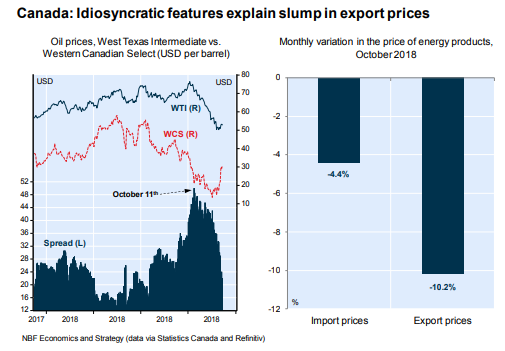 In other words, the shock effect of weak oil prices on the Canadian this time should be less than it was a half-decade earlier since the resource sector had somewhat consolidated and had already reduced its labor and business investment costs.